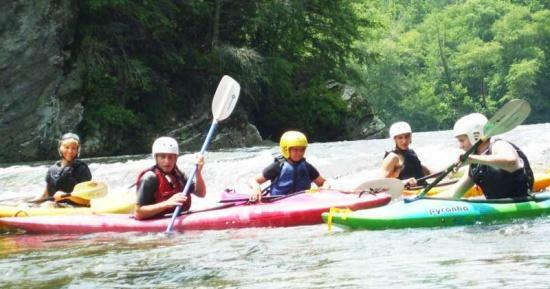 On Wednesday, members of the CCHS Outdoor Club paddled the Hiwassee River near Cleveland, Tenn. The Hiwassee is a class II-III whitewater river in the Cherokee National Forest, a homeland to the Cherokee before the Trail of Tears. Paddlers include Kim Parsley, Brock Francis, Lane Francis, Will Parsley, Cody Collins and Marc Larson.